Hoops Rumors is breaking down each type of contract in the NBA to find out which players were the most valuable under each type of deal. The rules are simple: To qualify, a player must have played under that contract during the 2018/19 campaign. Players who see their status change (such as 10-day contracts converted to full-season deals) maintain the same status they began with. Two-way contracts—a mechanism designed to allow a player to split time between a G League team and its parent club— were introduced in the latest CBA and implemented at the start of the 2017/18 league year. House is on track to become the most accomplished player ever on a two-way deal after stepping up during Houston’s unfortunate season filled with injuries (Monte Morris probably has the biggest claim to dislodge House from this the theoretical two-way contract throne; Quinn Cook may also stake a claim. Both players previously saw their two-way deals converted). The CBA limits players on these deals to just 45 days of NBA action – or fewer if a player signs during the season – and practice days count against that limit. House, who played 24.8 minutes per game and made 39.0% of his 3-pointers during his time spent on the two-way deal this season, hit the limit in mid-January. 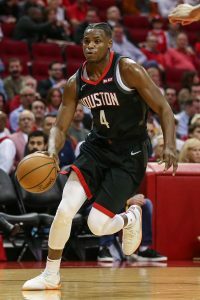 He began negotiations on a new deal, though Houston smartly attempted to leverage the situation into a three-year contract. House’s camp wanted to hit free agency as soon as possible. Progress toward a new deal stalled for two months. Two-way players earn a different rate depending on whether they are in the NBA or G League. House earned nearly $4,800 on each of the 45 days he was called up to the NBA. The daily rate when he was in the G League: roughly $550. The bet made on himself in not taking the long-term, guaranteed minimum-salary deal offered by the Rockets didn’t come without opportunity cost. With House trapped in the G League, the Rockets maintained their winning ways behind James Harden‘s historic scoring streak. From the outside, it created the illusion that House’s contributions could be easily replicated, but the front office knew it had to alleviate Harden’s burden or run the risk of him running out of gas by the time the playoffs arrived. GM Daryl Morey inked House for the remainder of the season in mid-March. The 25-year-old Houston native will be a restricted free agent at the end of the year and the team will try to bring him back once that deal expires but first, our two-way contract MVP will have a chance to further improve his stock as part of the Rockets’ playoff rotation. Consistent, yet not near elite, vs. much more impactful (relatively), yet short on sample size. It was the storyline of the 2017 rookie of the year award race between Malcolm Brogdon and Joel Embiid. Neither candidate had a particularly historic campaign for the award and calling it an underwhelming race might be overselling it. Those attributes have resurfaced in the battle for our 10-Day Contract MVP. Brewer had four 10-day deals split between Philadelphia and Sacramento and he was able to turn his pair with the Kings into a $2MM deal worth more than the minimum. He provided good energy for the Sixers amid their injury woes and roster transitioning, though he proved to be a turnover machine. 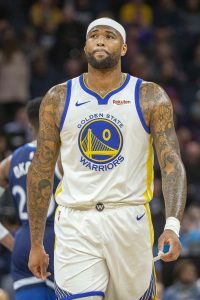 He coughed up the ball 2.1 times per 36 minutes during his time in Philadelphia, which is on par with higher-usage players such as Darren Collison, Mike Conley, and Kyle Kuzma. After seven games, the team opted not to offer him a contract for the remainder of the season and he eventually landed in California. Carter-Williams, meanwhile, joined the Magic late in the season and helped engineer a 10-2 run toward the Eastern Conference’s seventh seed. Orlando’s defense was a bright spot all season, but backup point guard was the biggest need after other options behind D.J. Augustin failed to pan out. MCW was the Parmesan cheese to the Steve Clifford‘s spaghetti and meatballs, a perfect complement to a hard-nosed defensive team needing that last element to make them palatable to a postseason audience. Brewer has seen more action, but his season just feels like empty calories. Unlike the 2017/18 ROY, this award goes to the player with the highest impact. Randle’s tale rivals Elle Woods’ in the movie Legally Blonde. The Lakers tossed Randle aside for the idea of a more illustrious catch, an addition that better fit their starry brand. The big man made the decision look foolish. Randle set career-highs in points, rebounds, and blocks per game while improving his free throw percentage and adding a 3-pointer to his arsenal (he was just six 3-pointers short of averaging one make per contest). He has a player’s option worth slightly under $9.1MM for next season and if he opts to hit the free agent market again, the Lakers’ brass may now realize Randle’s value. It’s almost unfair to give Cousins this award. It took a devastating Achilles tear for him to flirt with the idea of signing this type of deal and he had a franchise preaching patience as he made his way back from the injury. Are 30 games of star-level basketball more valuable than nearly a whole season of solid contribution, as are the cases with the Nuggets in Monte Morris and Torrey Craig? Does Seth Curry deserve the nod for stepping up and helping Portland maintain a top record in the West? Valid arguments for any of these players exist, though Cousins takes home the award here. Ed Davis (Nets): One year, $4,449,000. No player signed via the room exception came close to making the impact that Davis did during his season in Brooklyn. To be fair, only six players ended this year under this type of contract, with players such as Ron Baker and Michael Beasley getting waived before completing their deal. Still, Davis’ season compared to his contractual peers was 2015/16 Stephen Curry-level dominant. The big man suited up in all but one game for the Nets, providing the team with a consistent force in the frontcourt. He ranked third on the team in player efficiency rating and fourth in NBAMath’s TPA Metric. While Davis is only on a one-year deal in Brooklyn, he’s found a potential long-term home after a career of bouncing around the league and underperforming at nearly every stop. Brook Lopez (Bucks): One year, $3,382,000. The Lopez signing almost seems unreal. There aren’t many centers who would have fit in as well in a Giannis Antetokounmpo-led attack. With his shooting ability, Lopez is able to help the Bucks maintain floor spacing so that the Antetokounmpo can attack the paint more freely. On the other end, Lopez anchored the best defensive unit in basketball, altering shot after shot in Mike Budenholzer‘s conservative defensive. Part II coming later this week. Would you count P.J. Tucker since his contract was signed the previous offseason (2nd year in HOU). All the rest of your candidates are in the first year of their current contract. In helping Chris put this together, I noticed that there weren’t a ton of guys in the second or third year of these kinds of contracts (especially the room exception and bi-annual). In part two, which will include rookie contracts and various veteran deals, I think we’ll see more that were signed before this season. Does anyone else think it’s weird to compare Davis to some piers? And why does Davis need to have his piers under contract? Do the piers go to the highest bidder on the lake? Lake like a pond, or lake like a loch? We’ve cleared up the Peers-Piers dilemma. Nice idea for an angle. I see candidates are rewarded for having a story with broader affect. Monte Morris says darn, close twice but Crouse won’t give me one. To be picky, I think Morris & Quin Cook should be mentioned again at the end of the two-way section so the list is more complete. Morris and Cook weren’t on a two-way contract at all this season (Morris got a standard deal in the offseason and Cook got one last season), which is why they weren’t mentioned there.